QA Graphics’ design specialists will transform your photos, schematic designs, and mere ideas into incredible 3D graphic representations. Video is the future of content marketing. If you want to take your marketing to the next level, our design team will create custom animated videos so you can showcase your project. 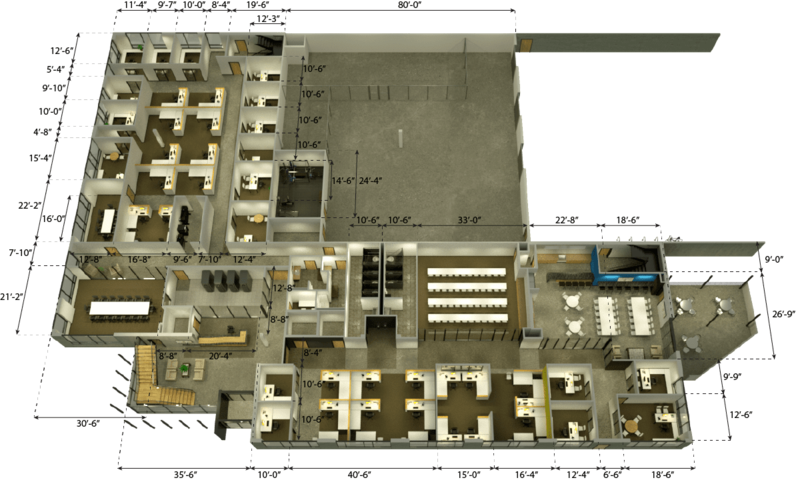 We provide tailored floor plans to fit your company’s needs, whether it be premium site plan design, BAS geared, or space planning for commercial properties. 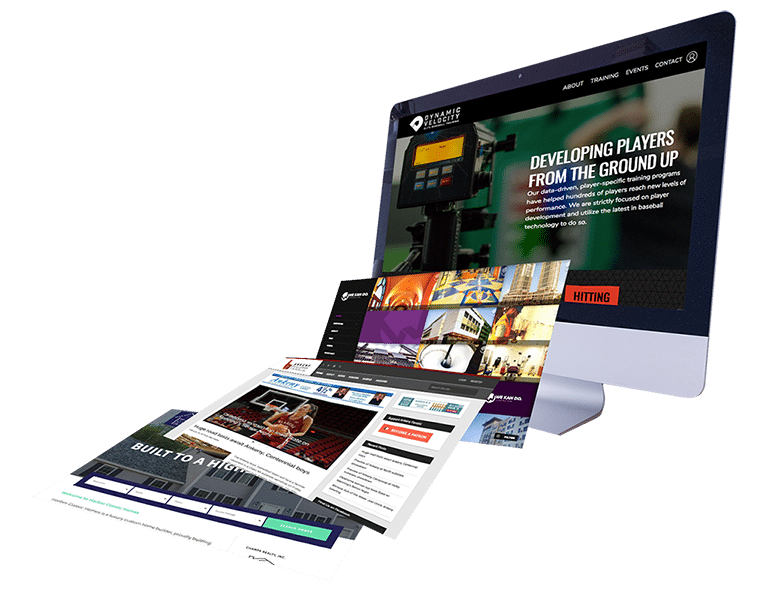 We build unique WordPress websites for smaller businesses. From design to development to SEO, our team can handle it all. QA Graphics was founded in 2006 by Dan McCarty. Located in Ankeny, Iowa, our company provides custom marketing solutions such as touchscreen applications, web development, interactive sales tool, animated videos, floor plan graphics, and 3D design. Over the last decade, the business has become an industry leader, expanding into a full-service design firm. All of our work is completed in-house, and our team of experts is comprised of graphic designers, 3D designers, developers, programmers, architects, and mechanical engineers – all to ensure we meet the diverse needs of our clients. Here at QA Graphics, we take pride in our Midwestern values and affordable prices. Our customers are our top priority, and we always strive to provide the best in the industry. This site serves as a smaller and more condensed platform to showcase our more creative work. To see our work in the Commercial Building Industry, as well as other elements on our main website, CLICK HERE. QA Graphics was honored with two silver ADDY Awards for their virtual configurator for Vogue Tyres and for an Energy Dashboard completed for a McDonald’s franchise in Riverside, California. We received a gold for our Energy Dashboard for the World Food Prize and a special “interactive” recognition from the judges and, silver for a 3D animation in a local commercial. We were honored with a Salute to Industry: Commercial Reinvestment Award. Recognizing local companies for their contributions in the Ankeny business community. Inc. magazine ranked us NO. 3,472 on its 7th annual Inc. 500|5000, of the nation’s fastest-growing private companies. We were also ranked as the 13th fastest growing private company in Iowa. We are pleased to announce we have won a silver award at the American Advertising Award for an iPad application developed for Latham Hi-Tech Seeds. We were named a double recipient of the 2014 MarCom Platinum Award for the News Tutor mobile app development and the MacNeil Carwash Configurator sales tool. We took home a gold award at the American Advertising Award for The MacNeil Carwash configurator. We won two Platinum Hermes for our Bridge Data Manager Video in the Marketing category and MacNeil Carwash Configurator in Mobile & Web-Based Technology category. We won a MarCom Gold Award for the visually appealing UX remodel of the Taco LCI-4 app for business. We received a Gold Hermes Creative Awards in the Marketing Product category for their Dual Tank Whiskey Flask Video. Demonstrating the complexity and every detail of the flask. We were named a recipient of the 2017 Videographers Award of Excellence for our 3D product modeling video on the Dual Tank Whiskey flask. We won a Platinum for The Dual Tank Whiskey Flask Product Video and a Gold for The District of Prairie Trail Fly Through Video for our creative video graphic production graphic/design in 2018. QA Graphics, a full-service digital design company, is the recipient of Gold recognition in the 2018 Muse Creative Awards competition, for their Dual Tank Whiskey Flask Product Video. We received a Gold Hermes Creative Awards in the Marketing Product category for our Musco Superior Lighting Video. Demonstrating the difference their unique lighting can make. We received a Platinum dotCOMM Award in the Microsite category for this website. Demonstrating the level of talent we offer for our website development. We won a MarCom Platinum Award for the Dual Tank Whisky Flask Product Video. We won two Silver Davey’s for our Dual Tank Whiskey Flask Product Video in the Video category and in the Microsite category for this website. We won a Gold Centauri for The Dual Tank Whiskey Flask Product Video and a Rose Gold Arcturus our 360 VR of The District of Prairie Trail Fly Through Video. We received a Gold AVA Digital Award in the Microsite category for this website. Demonstrating the level of talent we offer for our website development. We received a Gold Hermes Creative Award in the Motion Graphics for a Product category for our Raceway Piston Video. Highlighting the first of its kind, 21-foot Eternal Fan Piston statue. with professional 3D design and animation solutions. 3D models leave little question about aspects of a site or structure because they provide a more accurate picture. This means architects and engineers spend less time looking for issues in 2D drawings, allowing them to finish projects faster. 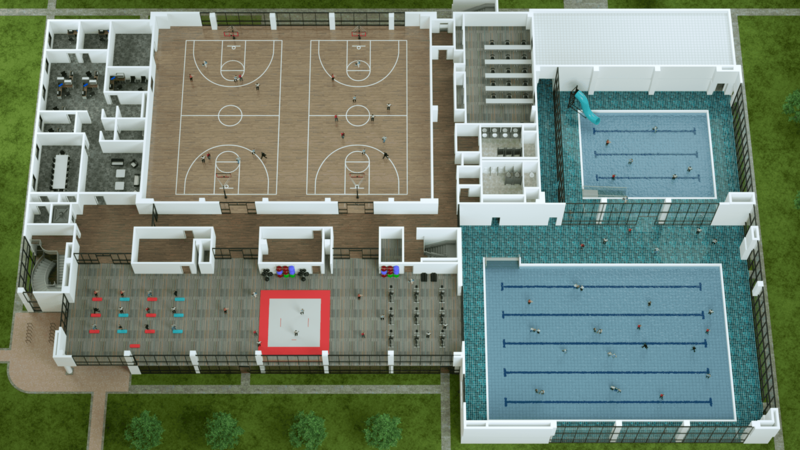 These unique renderings can be used for planning and sales purposes at a fraction of the cost compared to other prototyping services. Accuracy and flexibility of 3D design models allow architects and engineers to spend less time on the design stage of their projects and more time on the actual completion of each task and confirming project needs. Gain an accurate visual by including textures, flooring, and high-end photorealistic options to your design. These 3D renderings allow you to see the big picture, which in turn will help you finish projects quickly, efficiently, and within budget. Sometimes video just says it better! 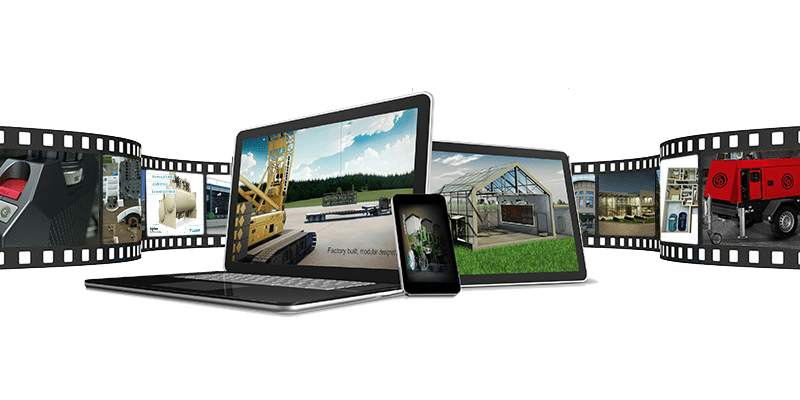 Whether it’s motion graphics to visualize technical products, a 3D product fly-through, or a virtual environment building, we can bring it to life. We’ve had the privilege of working with some big brands, creating engaging customer experiences for visitor attractions, trade shows, and sales pitches. Creating a positive, profitable and lasting impact for your brand. Getting started with your 3D design is easy. Fill out our contact form and hit send. Our team will be in contact with you in 24* hours. Hoover over images to learn more and to view larger. 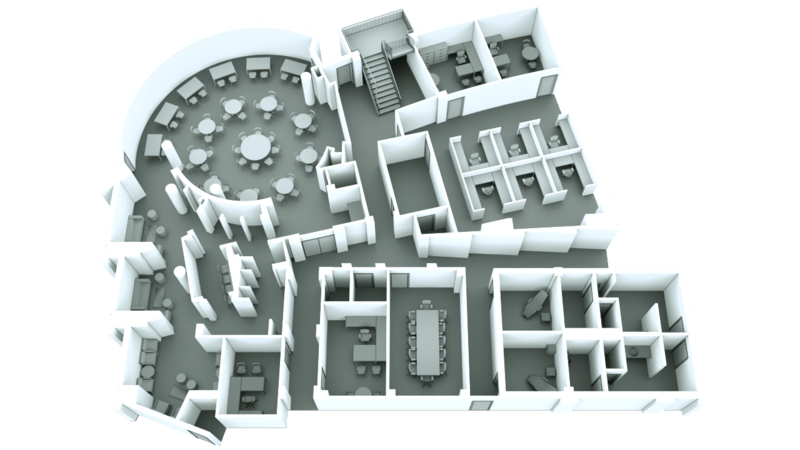 Professional, premium space planning for commercial properties with a variety of graphic options and 3D representations. A perfect way to visually communicate layout and spatial arrangement of your layout. We can turn complicated architectural files into simple and effective plans, that are easy for potential buyers to understand and view. 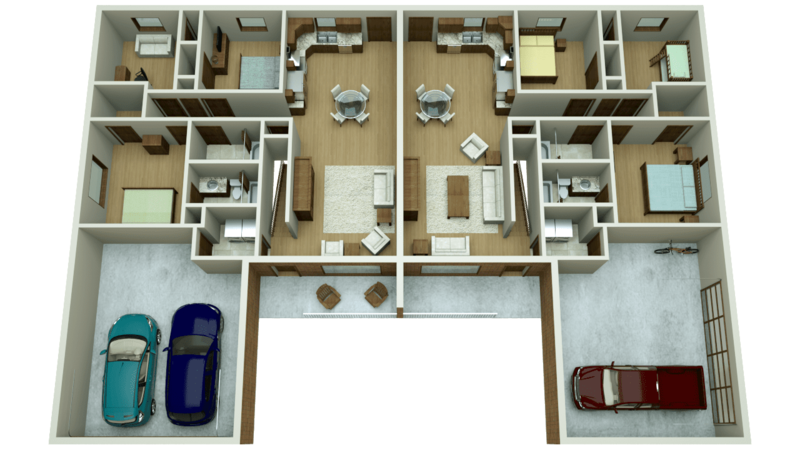 Floor plans are a great way to visualize interior space. These visual representations help prospective tenants visualize the space using furniture, dimensioning and material finishes. Potential developers do not want boring sketches and plans that are hard to read. They want to see lively, beautiful images that will make them want to purchase a property. Market your space better with clear pictures that include a variety of graphic options. Today’s commercial real-estate market is highly competitive and moves quickly. 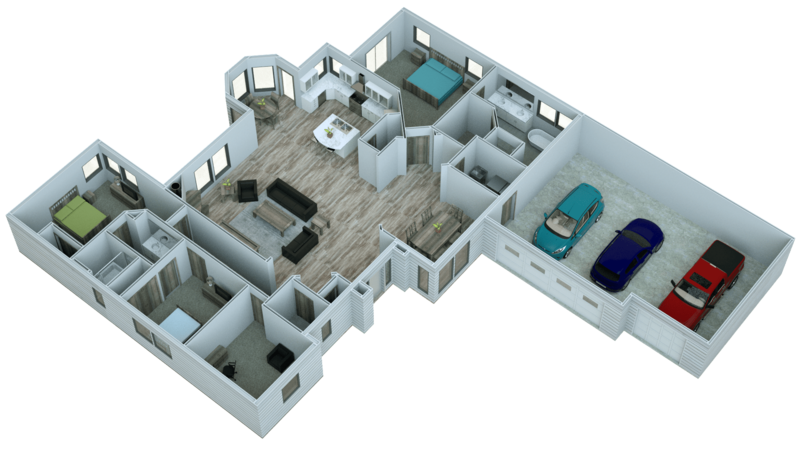 With our 3D floor plans you will be able to provide investors with a high-quality rendering of the property. This allows clients to know what to expect from the space. It helps you to visualize your project with all technical aspects like textures, material details, furniture, landscape, etc. These details can be useful for presentations, sales and marketing material, media, website, etc. We have a dedicated employee just for Rush Delivery of floor plans to help you out of a pinch. Work with our sales team to hit your deadline! 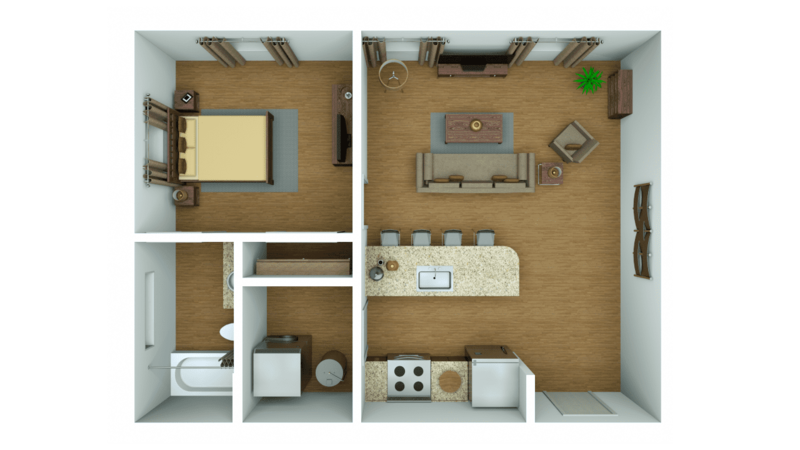 Show off your ordinary floor plans with interactive floor plans. Don’t ask your clients to “imagine” what their space will look like. 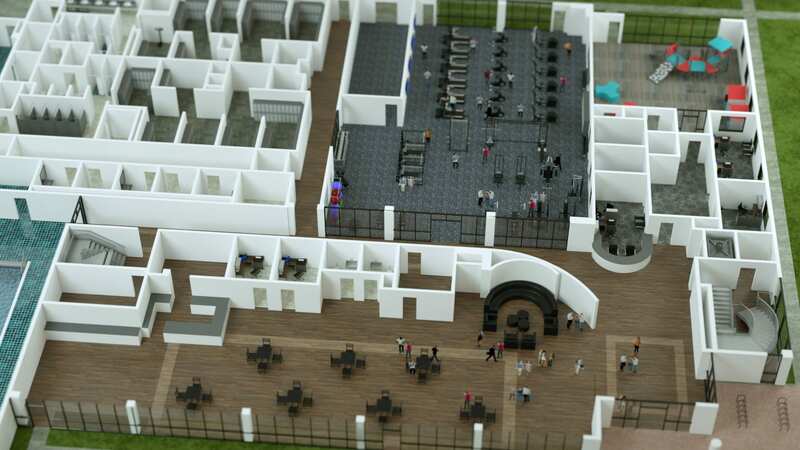 Being able to click on and image from a 3D graphical interactive tour will help make their vision come to life. *To display 3D content in real-time please make sure you have your WebGL enabled on Chrome/Safari/Firefox. The right website makes all the difference. Interactive 360­° Virtual Reality video. transports you to a scene. Use your smartphone/tablet/or mouse cursor to look around at our 360° Video example on the left. Make sure to select HQ for high-resolution playback. Unreal. You have seriously blown me away. The video looks incredible!